The new Jaguar F-PACE is taking the industry by storm, lighting up the streets of Huntington and Beckley with loads of style. This all-new luxury SUV comes with seven trim levels, standard all-wheel drive, and your choice of a supercharged V6 or a turbo-diesel inline-four. There’s also loads of premium tech on display, including a standard InControl® Touch infotainment system and rearview camera. Get where you’re going via the new Jaguar F-PACE with Navigation, offered as part of the Jaguar InControl® Touch Pro upgrade on a 10.2-inch touchscreen. 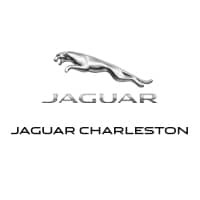 When you’re ready to check it out, make the trip to Jaguar Charleston for a test drive. There’s no questioning the viability of the Jaguar F-PACE—even in a competitive segment. In fact, this luxury SUV beats out the BMW X3 and the Audi Q5 when it comes to performance, cargo capacity, and standard features. Get a better sense of everything the new Jaguar F-PACE with Navigation has in store by checking it out near Huntington at Jaguar Charleston. Got questions? Feel free to get in touch.